Rainbow roses has been with us for a few years now but as beautiful as they are they seem to defy everything we know about plant breeding. Most of us would have come across spray-dyed orchids, hydrangeas and heathers in our local plant retailers but this is something different. There is no sign of the 'clumsy hand' of spray paint. There are no tell-tail drips, run-off or accidental painting of the leaves. Even close-up the pigmentation within each petal seems to build up and fade naturally without any crossover of colouration. 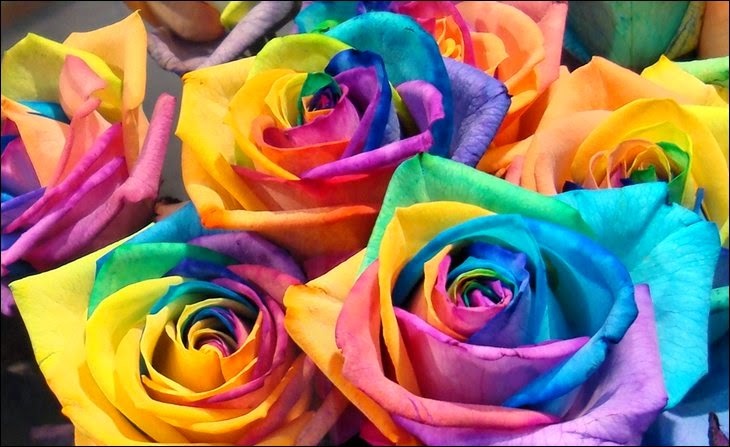 So how exactly can a rose cultivar display every colour of the rainbow within a single flower? Is the image just another example of clever photoshop manipulation? It certainly can't be real, therefore it must be a fake. However the truth lies somewhere in between. While it is not possible to produce a cultivated rose with these incredible colours the main image above has not been tampered with and it is a genuine rose flower. 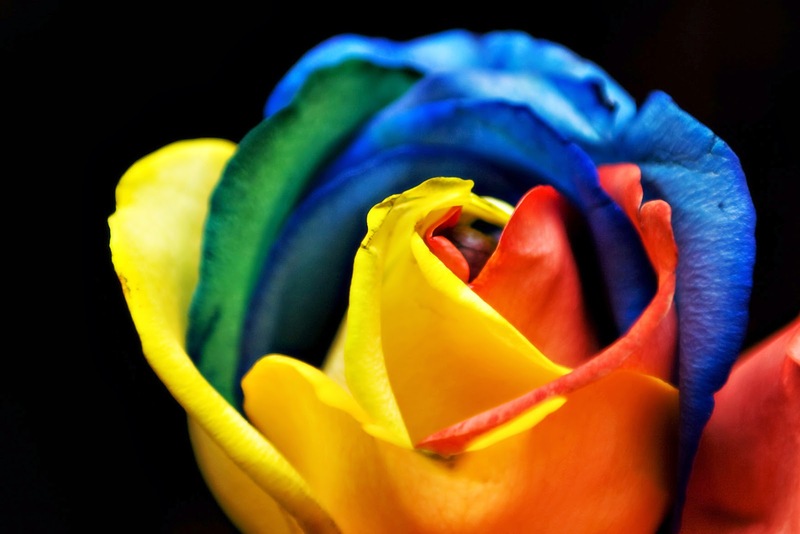 The truth is that the rainbow rose is a rose which has had its petals artificially coloured. Not only is the method of colouration simple, surprisingly it has been known since before the 11 century AD. The process exploits the rose's vascular bundle and in particular the xylem tubes which are the mechanism by which water is drawn up the stem. 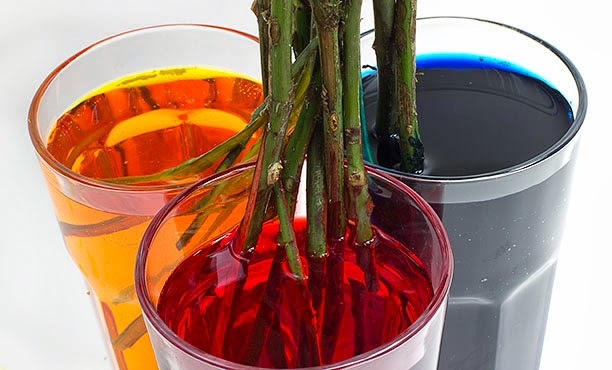 The rose stem is split into sections and each section is placed into a jar, containing a different diluted water-soluble pigments. The colours are drawn up through stem via the vascular bundle and into the petals. The petals becomes stained according to colours within the xylem tube which feed into it. They result is a multi-coloured rose, but due to the process it can only ever available as a cut flower. Just be aware that the additional pigment within the petals will cause the flower to have a much shorter life expectancy when compared to an uncoloured rose. Lucy Roberts file is licensed under the Creative Commons Attribution 2.0 Generic license.